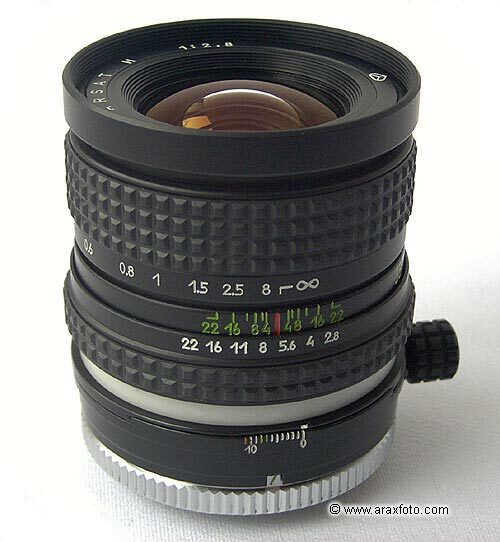 ARAX 2.8/35mm Shift wide angle lens for range of digital cameras. Specials / PCS MC ARSAT 2.8/35mm Shift lens for Nikon. 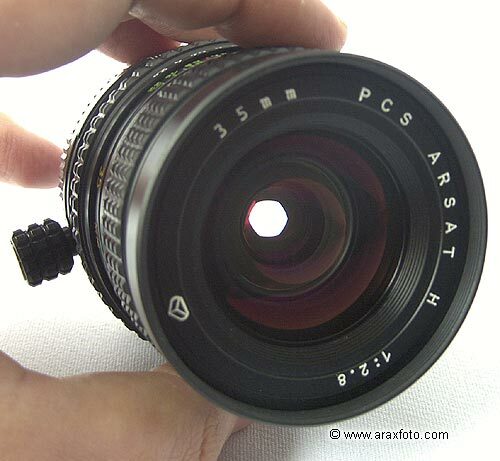 PCS MC ARSAT 2.8/35mm Shift lens for Nikon. The Multicoated PCS ARSAT 2.8/35mm Shift lens with 11 mm shift and with 360o rotating plate capabilities enable the correction of perspective distortion necessary in interior and exterior architectural, landscape and product photography. This lens's superb multicoated optics allow you take sharp, contrasty, colour perfect pictures. Of course, it has manual aperture control. 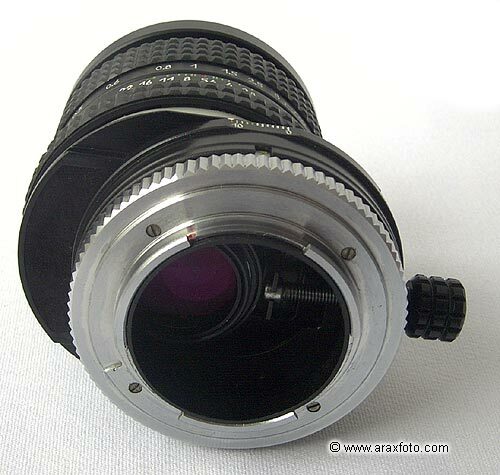 The lens can be shifted 11mm from its normal position. The direction of the shift can be changed 360o. 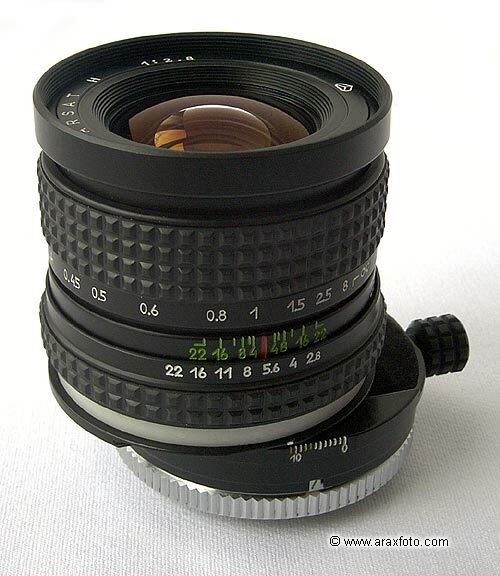 You can use this lens on any 35mm digital or film cameras including fulll-frame DSLR. Comes with front protective cap and soft case. Price: $379 The lens is out-of-stock right now. Please subscribe to our news to be informed about availability.